Cooking for someone who doesn't drink alcohol, and need a good stand-in for the red wine called for in a recipe? There are plenty of non-alcoholic substitutes that should do the trick. Be advised that most will change the flavor of your recipe, so you may want to do a test run before serving your dish to guests. You can easily replace the red wine called for in your recipe with an equal amount of beef broth. This will contribute both flavor and color to the recipe. Chicken broth or vegetable broth can also be used if that's all you have on hand, but beef broth is definitely the better choice. One thing to note about this substitution: Beef broth isn't anywhere near as acidic as red wine. So, if the wine is being added to a recipe to tenderize meat, you should probably add some white vinegar along with the broth. For the best results, add a splash of vinegar to your measuring cup; then, add broth, until you reach the amount called for. One teaspoon of vinegar per cup of broth is a good rule of thumb. If you want that red wine taste and color, without the addition of alcohol, substitute red grape juice for the red wine in your recipe. You can do an even one-to-one swap, but for even better results, include a splash of white vinegar with your grape juice. This will cut back on the sweetness some, so it has more of that aged depth that you get with wine, and it'll also increase the meat-tenderizing abilities of your substitute. Vinegar is an excellent tenderizer. While not as good an alternative to red wine as red grape juice, cranberry juice is still an acceptable substitute in most recipes. Just be sure to use the unsweetened (100 percent juice) kind. Cranberry juice cocktail will probably add too much sweetness to your recipe. If you're feeling daring, and your recipe is on the sweet side already, such as a sauce, you could try adding cranberry-grape juice. Just go slowly, and add a little bit at a time to avoid over sweetening. As with the broth and red grape juice substitutes, it's a good idea to add a bit of white vinegar to your cranberry juice to dial down the sweetness. As the name suggests, red wine vinegar is made from red wine, but the two have very little in common flavor-wise. Red wine has sweeter notes, while red wine vinegar is more biting and acidic. Because of these differences, it doesn't work very well to substitute one for the other. Stick to one of the substitutes suggested above if you want your recipe to come out right. 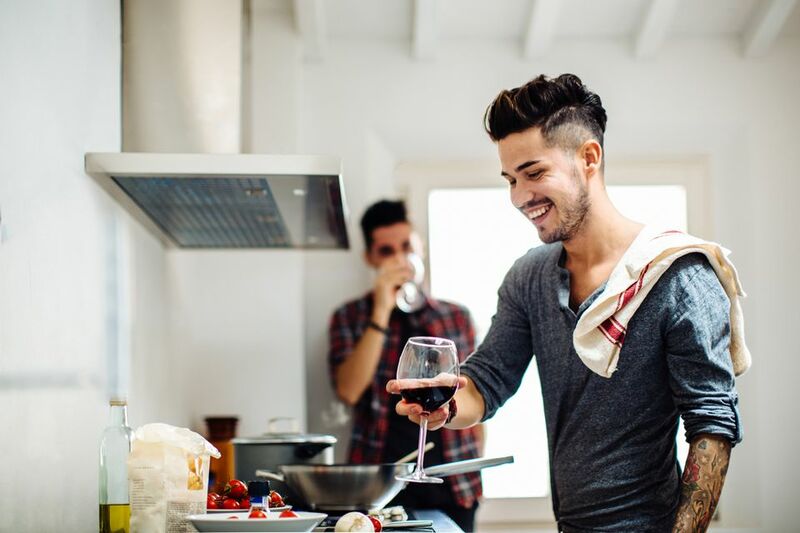 If you can't cook with alcohol, or prefer not to, there are other ways to substitute alcohol for you to test out.